Do you drive with the windows down or blast the AC? 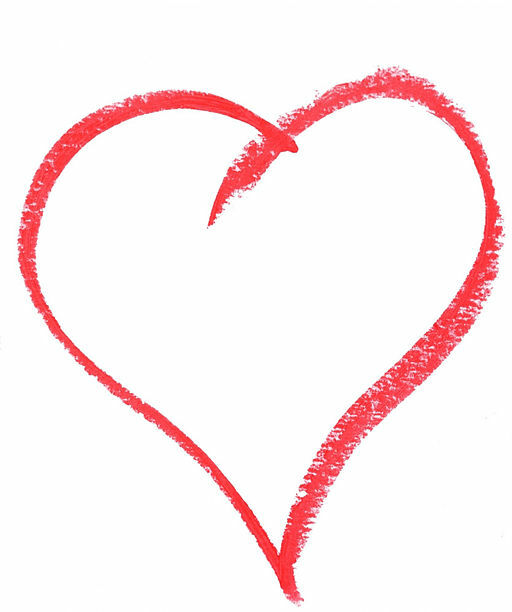 Think of your heating and cooling system as your home’s heart. The ductwork or piping can be like arteries and when it all works well, you stay comfortable. But there’s a lot more to it than that, the body is a system where all the parts work well together. Homes are like that too. Heating, cooling, distribution, ventilation, roofing, siding, air sealing and insulation all come together and when it works great things can happen. We stay warm or cool comfortable and healthy. Clearly it can be a complicated system, and I won’t say our advisors are doctors, but they sure know homes and how to make them work at their best. One thing’s for sure, we make house calls! A Healthy Heart is like a Healthy Home! Heart disease is a significant issue for many Americans and encompasses a number of conditions. The American Heart Association is a great resource to start with if you have concerns. February is American Heart Month and you may ask what that could possibly have to do with a home. Where do you start when it comes to a healthy heart? Your doctor is a good place. Being diagnosed with cardiovascular disease means a change, but it is change you won’t be working at alone, that’s why we visit one doctor for physicals and see a specialist if need be. 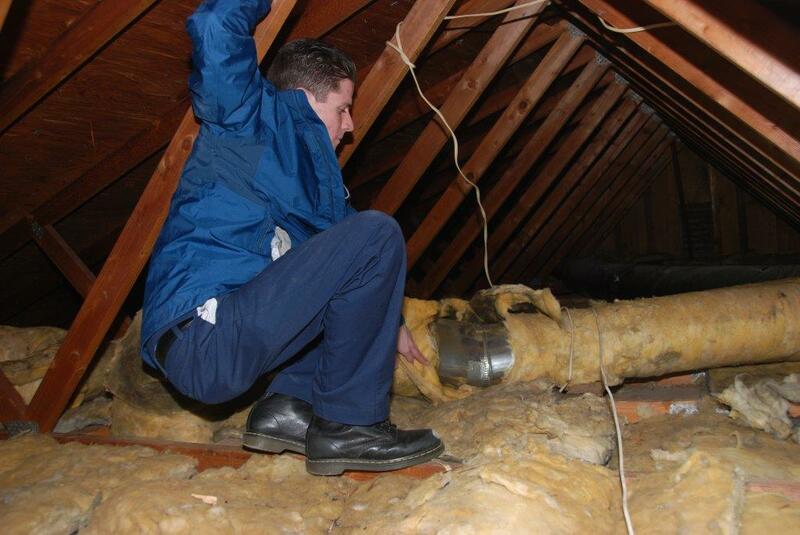 We take the same type of scientific approach to diagnosing homes and making recommendations. We start out as a general practitioner would in your home looking at everything. When we find something that needs special attention we can bring in the specialists. It might be the ductwork or the cooling system. Maybe it’s the insulation in the attic. But you won’t know until you get that physical and you won’t get better until you take action! We know Home is Where the Heart is and this month help yourself and your family to a check up for your heart’s sake and also for your home! Duct work, before and after. According to the America Lung Association, the indoor air in an average home is 10 times more polluted than outside air. Instead of treating the root cause of the issue – their home – homeowners purchase high-efficiency filters, allergy medicine and other medications to treat symptoms rather than doing something to eliminate the cause. Many of the upgrades ASI completed on the showcase home demonstrate how homeowners can address the problem instead of just the symptoms. It is important to seal or replace older ductwork to keep pollutants and irritants from entering our home’s from the attic, or anywhere else considered outside such as a crawlspace or basement. Doing this potentially frees us from medications and air filters later on. This is the same great work that Allbritten has done for there home energy makeover. If the furnace is the heart of the system, ducts are the arteries. No matter how healthy the heart may be its efficiency and effectiveness are limited by the ductwork in the home. Insulation is important as well of course. 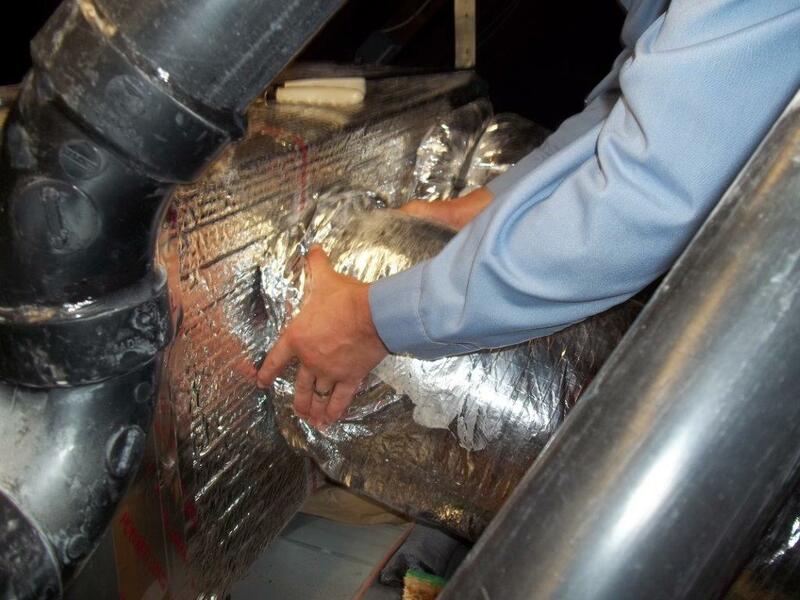 Just like our homes, we need to reduce un-controlled airflow in duct work and add the appropriate levels of insulation to keep the heat out in the summer. Another part of HVAC we don’t always talk about is the V for ventilation. We want to control the airflow so we know we are getting enough fresh air and that it is indeed fresh! 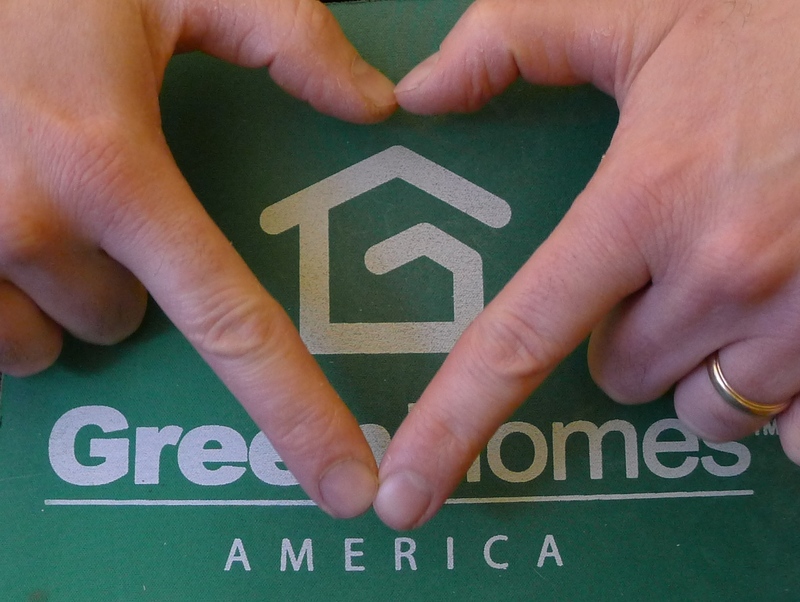 Boy has it been a busy year for GreenHomes America! Young’s Air Conditioning of Los Banos, California came on board before the start of the New Year. Young’s is a family business with strong roots in Los Banos and a reputation as the area’s leading provider of energy efficient heating and cooling services. In the early part of the winter, we added three locations with Carolina Green Energy Systems. CGES is one of South Carolina’s oldest and largest comprehensive Home Performance Contractors, and we are proud to include them in the GreenHomes Network. Also new in town is Air Rescue Air Conditioning of Tampa, Florida. This is our first partner from the Sunshine state. Air Rescue started in 1965, and is one of the oldest and largest residential HVAC contractors in the Tampa Bay Metro area. Air Rescue will service customers in over seven counties. This is only the beginning as GreenHomes grows to better serve you nationally! Stay tuned for more! Can Google Heat Your Home? 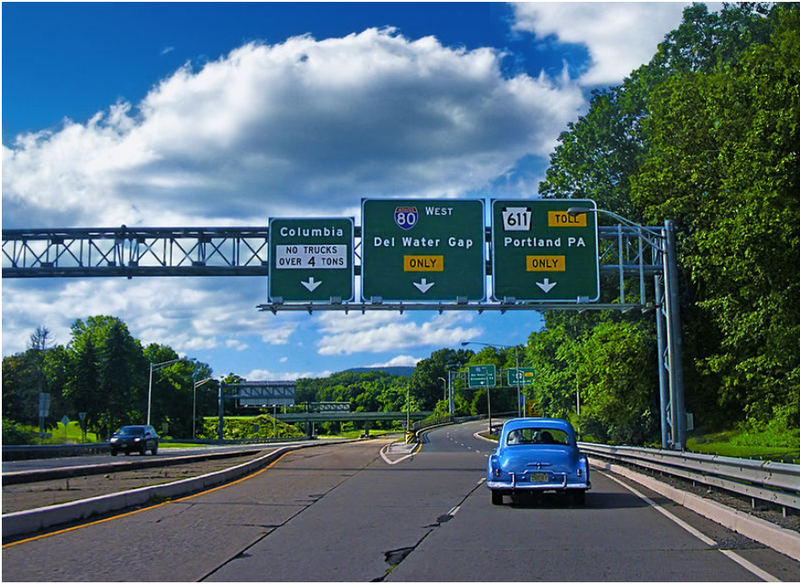 Looking down the road with our sister companies at The Linc Group, and Linc Lighting & Electrical, GreenHomes is already exploring how a shift toward electric vehicles will impact home energy use and the need for home energy efficiency. There are some big ideas being experimented with. And another interesting idea was discussed over the weekend in a NY Times article on “data furnaces”. Very timely given the “Cyber Monday” heat we anticipate today. The basic premise is to use the tremendous amount of heat generated in data centers—from the servers that run Google, Netflix, and the rest of the internet world—to heat homes. It’s not so far fetched. We have examples of co-generation heat in this county dating back more than a century. While this used to be centered around industrial heat sources, high tech is part of that industrial base. Further, there are intriguing benefits of distributed capacity on both the energy and the internet sides. Don’t look for Google to be asking to install servers in your basement this year. But don’t be shocked if the opportunity comes soon. Just one of the exciting things we’re working on! We’ve provided the details on the federal home energy-efficiency tax credit a few times this year—for efficient furnaces, air-conditioners, windows, insulation, and the like. You’ve have access to the federal tax credit for existing homes for almost six years, in some form or another, including a bump up in the credit amount for two years as part of ARRA and then ratcheting back down this year. But the time is running out. These federal credits disappear at the end of the year. To be eligible, qualified products must be “placed in service” (installed) by December 31, 2011. If you know you’re going to be doing something that qualifies, now is the time. I’m not betting that Congress will pull together and agree on much of anything, let alone pass something like an extension of this tax credit. So right now, it looks like before the end of the year, or kiss it goodbye. Of course, if the time isn’t right for you, we always help our customers find any other incentives out there. Call us when you’re ready. It was 1911 when The Orpheum Theatre in Los Angeles had installed air conditioning truly bringing the concept of keeping comfortably cool to the masses. Ten years earlier Willis Carrier had started work in Buffalo, New York, a city not too far from our Greenhomes America office in Syracuse. His trial and error over the years focused on dehumidification and it was in 1907 that the Carrier Air conditioning company was established. What did folks do before that? Looking back at a late 1800’s trade journal “Ice and Refrigeration” reveals a lot. The journal is packed with beautiful advertising for coils and pumps and innovative patents for cooling systems ads for insulation like cork and mineral wool and insulating paper whatever that may be. It also holds reports of what industry in need of cooling relied on every year: Ice Harvests. The Hudson River crop in 1890 was around “4,000,000 tons of which New York, Brooklyn and Jersey City will use 1,200000 tons or more if the summer proves a hot one”. 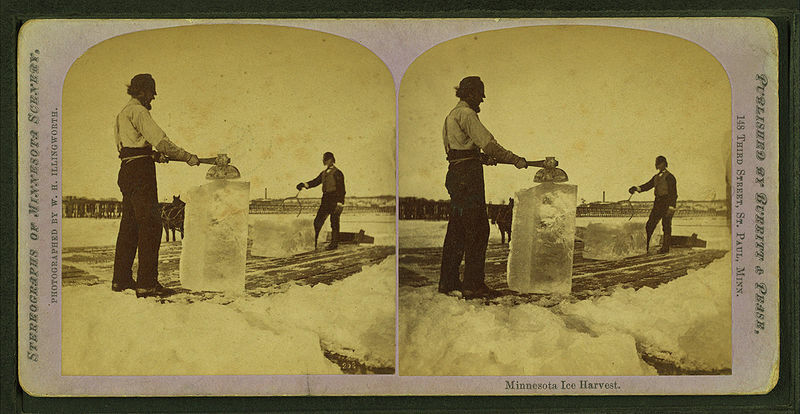 Ice harvest happened in many places, a number of rivers in Maine were used and the ice was then stored near shipyards to be distributed later. There’s a connection to today we might not think of: The size of our air conditioners. From the beginning these cooling machines capacities were described by an equivalent amount of ice that would melt in a day. A window unit might be less than a 1 ton system where central air can range from 2 to 5 tons. How much do you need? Think of keeping food in a cooler for a long trip to the beach or a weekend camping. As that block of ice melts it keeps things cool in there. The more we open it up the more we lose that cooling. The less insulated or efficient the cooler is the faster it melts. Same goes for our houses. We don’t think of running out of ice anymore because we’ve found a way for air conditioner to provide endless cooling, as long as we pay the bill. The GreenHomes Partners I visited recently really know cooling. Just as important they understand how to keep the cool in your home as well with air-sealing and insulation so you can get by starting out with a smaller block of ice! With the monster heat wave we’ve been having, a question that has come up several times this week—how can I add central air if I have a hot water heating system (and thus don’t have ducts to move the air)? 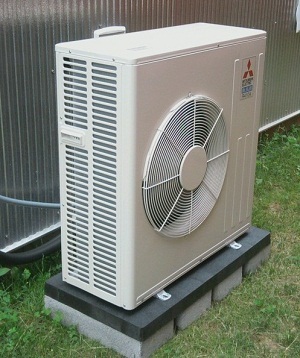 Minisplit air-conditioning is recognizable by it's slimmer--and quieter--outdoor condensing unit. 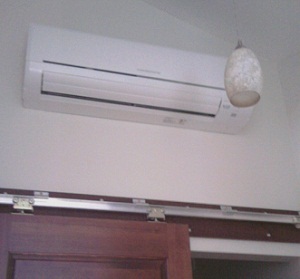 The good news is that there is a great answer—ductless minisplits. And mini-splits have some big advantages going for them. Mini-splits are some of the most efficient systems available, and you know we’re a fan of efficiency. Mini-splits come in smaller sizes, better matching cooling “loads” in the house. And as you’ve heard me say, when it comes to A/C, bigger is NOT better. Not only do they come in smaller sized, but they can also modulate the amount of heating or cooling by varying the refrigerant flow to dial is the amount of cooler you need now, not just what you need on the worst day (see bigger is not better, above). With no ducts, there is no duct leakage. The indoor units, while different than a simple grill, can usually be unobtrusively tucked away, like in this hallway, for instance. Mini-split systems have a different design aesthetic, and some people don’t look the way the look. However, it’s often possible to tuck them in an unobtrusive location where they’re barely noticed. And there are options like a “ceiling cassette” with is mounted above the ceiling with just a grill visible. Ducted mini-splits are another option. The allow you to hide the unit, in a soffit for example, and use short ducts for the return and supply air. With the ducted systems, you can allow feed multiple rooms from a hallway, for example. A mini-split system is often more expensive than bolting on A/C to an existing warm air furnace and duct system. But it is usually less expensive than adding A/C and ductwork if you have a hot water system already. And because of the smaller sizes available, mini-splits are often a better choice for a more efficient home—one where we’ve air-sealed, insulated, swapped out lighting and appliances for more efficient models, and upgraded windows. So, if you’ve got hot water heating, whether it’s baseboard, radiators, and in-floor radiant, don’t sweat it. Ask us if a mini-split might be a great cooling solution for you.